Honda PCX150 | SA Motorcycles. Built with innovative scooter technology. 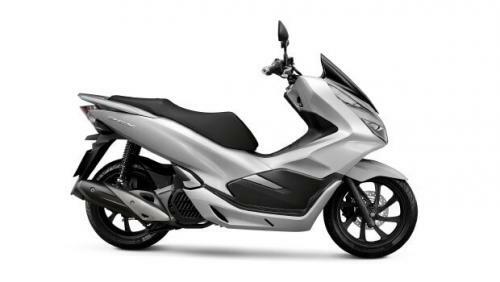 Building on the popularity of the PCX125, the PCX150 incorporates innovative technologies, unrivalled practicality and economy, big scooter styling and more making it a joy to ride every day. The 153cc single-cylinder, four-stroke, liquid-cooled SOHC two-valve unit employs a host of low-friction technologies to improve efficiency in terms of output and economy. 12 months on purchases before July 1, 2015 - 24 months on purchases on or after July 1, 2015. Standing out as a best-seller worldwide thanks to its modern design and remarkable value for money in terms of initial purchase price, low operating costs and thrifty fuel efficiency. Stylish, nimble and incredibly practical, meet Honda's most innovative scooter, the PCX150. 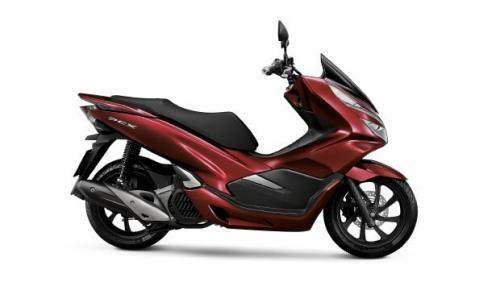 The PCX150 boasts Honda's innovative eSP (enhanced Smart Power) engine, which employs a host of low-friction technologies to improve efficiency while also offering enhanced durability and quiet operation. Honda was the first manufacturer, in 2006, to announce voluntary, per-unit CO2 emission reduction targets for all of its products and the plants that produce them. The new generation of engines as seen in the PCX150 represents a step forward in environmental terms in keeping with this approach. Looking to take the PCX150 for a test ride? Tell us when it suits you and we will be in touch to confirm the time and bike availability. Want to know more about the PCX150? Our sales team have years of experience and can help with your enquiry.